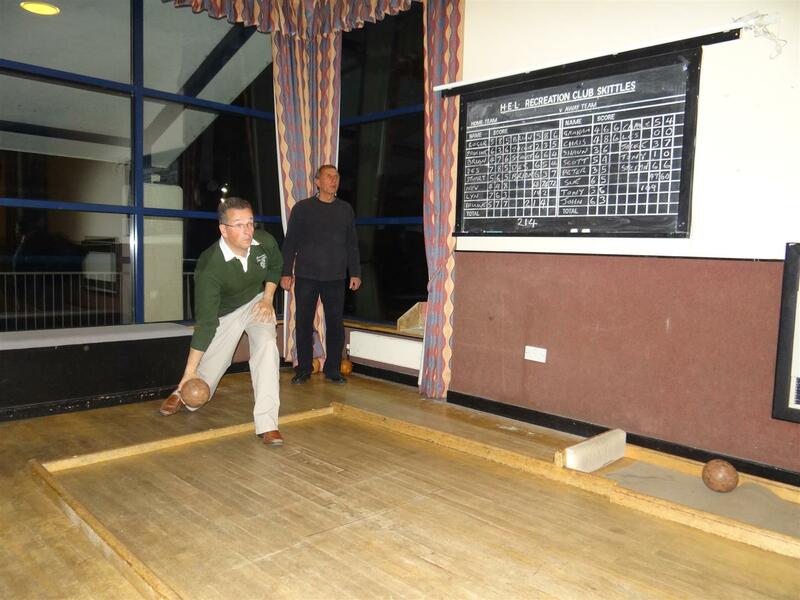 The annual skittles challenge between Dorset Historic Motor Club took place on Thursday 17th March at Hamworthy Sports Club. This event is organised each year by DHMC and always proves to be a fun event. I must report however that once again 1020 were not successful on the evening and that we lost by a total of 34 pins, our biggest loss so far. We congratulate them on their win and hope to do better next year. On completion of the match we had a round of "Killer", each player starting with three lives and losing one each time you failed to knock one or more pins down. We were more successful with this, with some of our players lasting until the last round but one, with the ultimate winner for the bottle of 'Bubbly' being Neville Gerry from DHMC. Our thanks go to our hosts of the evening for their invitation and friendly sportsmanship. Shaun (without the aid of satnav) doing his best to help our score, watched by the scorer, Brian Whiteside.